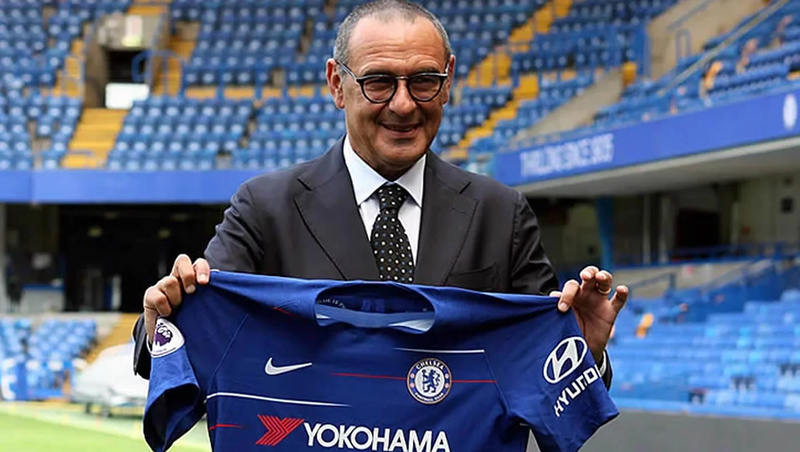 Jamie Carragher has claimed that Chelsea FC have become like Arsene Wenger’s Arsenal under Maurizio Sarri. Chelsea FC conceded four times in the opening 25 minutes as Sergio Aguero scored twice as well as goals from Ilkay Gundogan and Raheem Sterling. Sarri’s side managed to rally in the second half and limit the Premier League leaders to two goals as Aguero netted his third and fourth strikes of the game. Chelsea FC have conceded 10 goals in their last two Premier League games on the road to leave serious doubts around Sarri’s system. The Blues dropped down to fifth place in the Premier League table after Manchester United were 3-0 winners against Fulham at Craven Cottage on Saturday. Arsenal were also hoisted above Chelsea FC by virtue of their superior goal difference following the west London side’s 6-0 demolition. Former Liverpool FC defender Carragher made a comparison between Wenger’s Arsenal and Sarri’s Chelsea FC after the landslide win for the hosts. Chelsea FC will return to domestic action with a FA Cup clash against Manchester United next weekend before a meeting with Manchester City in the Carabao Cup final at the end of the month.